Earlier today, Apple shared a preview of its new emojis coming when Unicode 11.0 updates are released for iOS and Mac, as part of a timed celebration for World Emoji Day set for July 17th. 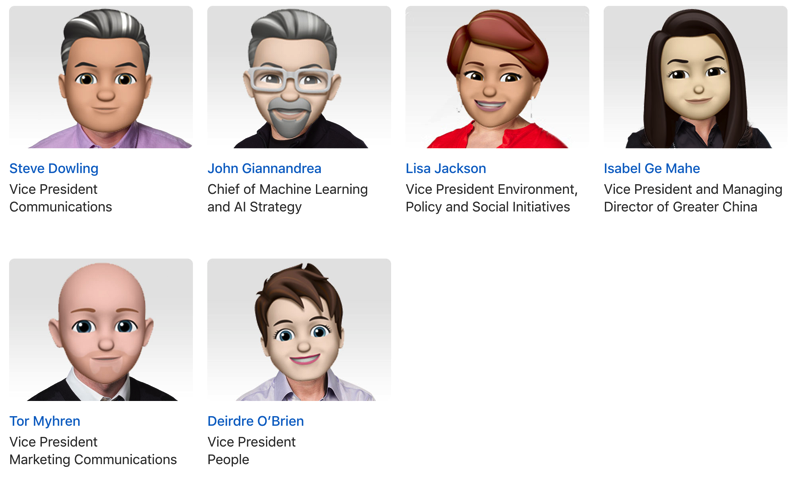 Now, it appears the Apple leadership team has joined in on the fun, as the web page now shows each executive in their Memoji, instead of their actual picture. 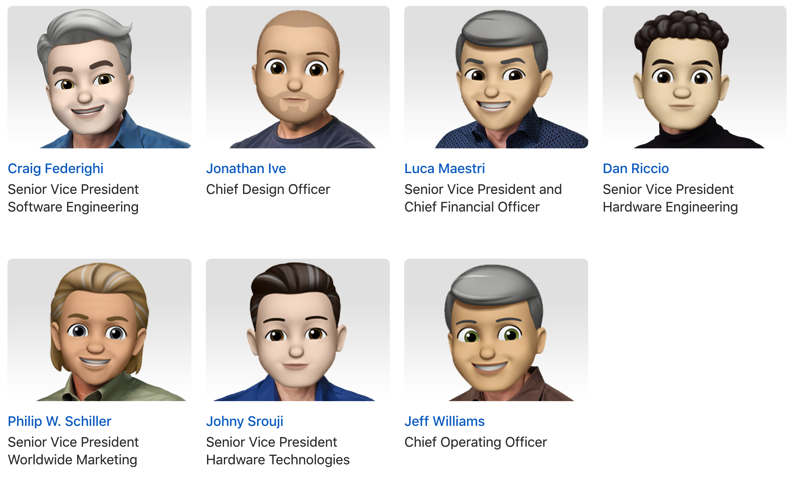 Memojis are coming in iOS 12 and are exclusive for iPhone X users, allowing them to turn their profiles into animated images instead, to be used like Animojis.